I have mentioned previously (see post) the value of implicating mental health as one of the United Nations sustainable development goals. As pointed out by the UN Special Rapporteur (see previous post), The 2030 Agenda for Sustainable Development includes Goal 3, which "seeks to ensure healthy lives and promote well-being at all ages", and target 3.4, which "includes the promotion of mental health and well-being in reducing mortality from non-communicable diseases". 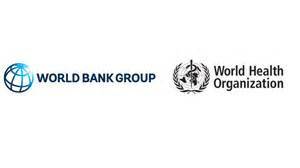 As he also points out, this 2030 Agenda and other influences from WHO, the Movement for Global Mental Health and the World Bank mean that "mental health is emerging at the international level as a human development imperative". I have tweeted relevant quotes or amended quotes for global mental health from the Special Rapporteur's report (see my responses to my tweet with the link to the report). I'll try and condense them in this blog. The report emphasises the importance of parity with physical health in national policies and budgets or in medical education and practice, but suggests nowhere in the world has this been achieved. It does not want to forget that the political abuse of psychiatry remains an issue of serious concern in some countries (see previous post). Evidence-based psychosocial interventions and trained community health workers to deliver them must be enhanced. Services must support the rights of people with intellectual, cognitive and psychosocial disabilities and with autism to live independently and be included in the community, rather than being segregated in inappropriate care facilities. As he does in the rest of the report, the Special Rapporteur is encouraging all countries, including lower and middle-income countries, to develop rights-based mental health care.